Dorchester, unrivaled as Boston's largest neighborhood in terms of area, comprises more than six square miles, is separated into four different zip codes (02121, 02122, 02124, and 02125), and borders Quincy, South Boston, Roxbury, Mattapan, with Dorchester Bay to the east. This neighborhood is the definition of convenient, with Public Transit's Red Line (train) depositing you at a variety of stops leading directly into South Station. Founded in 1630 (pre-dating the founding of the city of Boston by just a few months) by Puritans emigrating from Dorchester, Dorset, England, this historic neighborhood has maintained a very diverse population, including new immigrants from Vietnam, Cape Verde, and Ireland. Countries from around the world are represented here in Dorchester with a wonderful mix of residents bringing with them cultures and backgrounds that contribute to the already incredibly vibrant community. 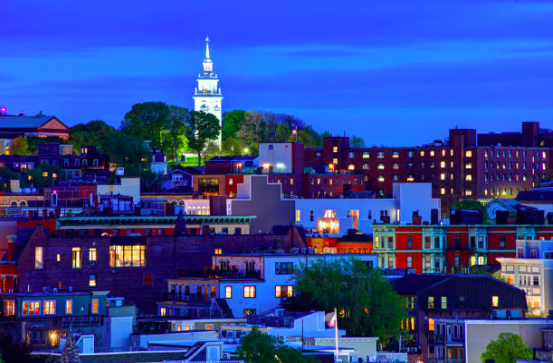 Whether or not you are "OFD" (Originally from Dorchester), residents and visitors alike find this neighborhood to be a desirable place to live, work, and spend time. Dorchester's southern half leans towards primarily residential, established neighborhoods still defined by parishes and occupied by families for generations. The northern half of Dorchester is considerably more urban, with greater opportunities for apartment housing and multi-family investments. A unique feature throughout Dorchester is the predominance of community parks, including the recently renovated Pope John Paul II Park and Franklin Park, commonly referred to as the Emerald Necklace Park System's "crown jewel." These parks provide residents and visitors with walking and bike paths, picnic areas, and athletic fields with stunning views of the Neponset River and Boston Harbor.